Lucie Michel has been painting literally her whole life. The daughter of creative parents, she received her BFA from Concordia University in Montreal in 1983. 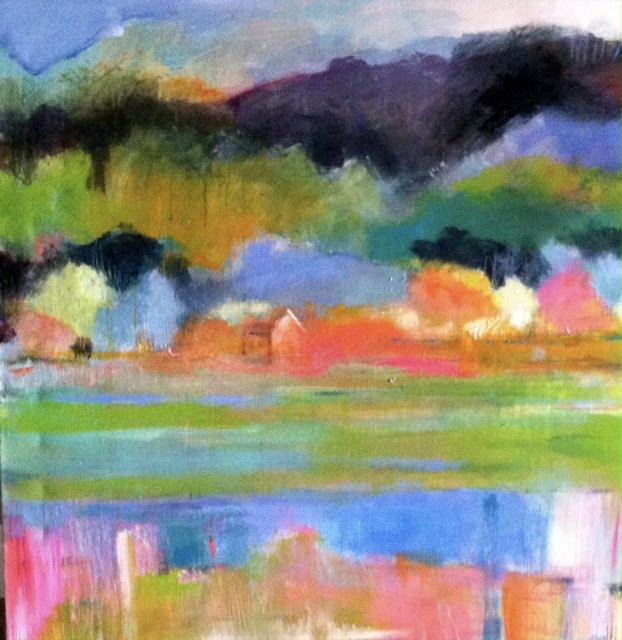 In her own words: “My paintings reflect areas from Quebec and New England. Sometimes, they seem to talk to me. I look at the way the trees are positioned, the curves of the hillsides, the fluidity of the rivers and suddenly, the painting becomes clear in my head. Having lived in these two areas, I have a soft spot for these regions. Acrylic, ink pens, charcoal are my favorite mediums. I melt in front of Masters like Marc-Aurèle Fortin, Andrew Wyeth, Tom Thompson and modern artist like Anne Van Mierlo, Jennifer Hornyak, Alex Powers, Virginie Bocaert. Michel’s work is held in collections throughout the United States and Canada.